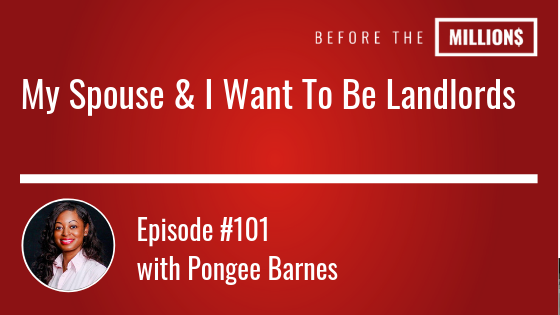 Born and raised on the south-side of Chicago, today’s guest, Pongee Barnes embarked on her real estate career as a college student in 2005 at the age of 20, buying her first condo. From 2008-2011, Pongee owned a furniture rental staging business which birthed from her passion of staging and flipping homes. Today, as a seasoned investor, more than her passion for real estate she has a central focus on inspiring black millennials to invest. On today’s episode, we discuss the ups and downs of “hands on” landlording but more specifically, managing your rentals with a partner. Listen to this book for free!